Vikled has found in 2002, beginning with mould department. In 2009, LED Dept. has been set up with experienced R&D group and OEM&ODM services. 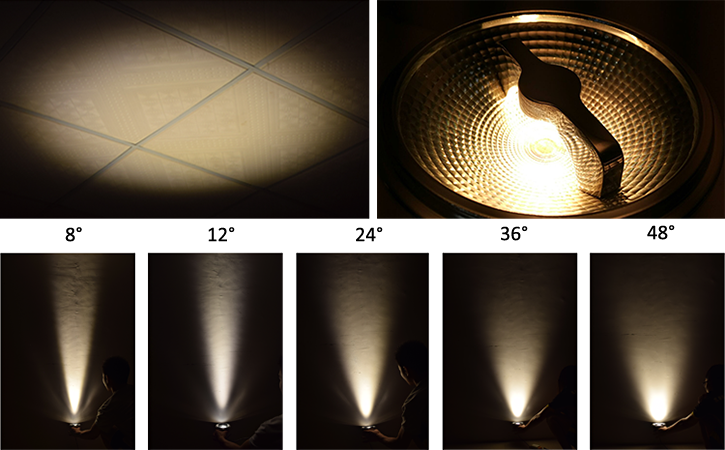 The philosophy of our LED reflector originated from people's pursuit for glare free design. By fixing the LED Chip on the inner side of heat conducting bridge, the light emitted by reflection from the reflector cup. It avoids the direct contact of light to our eyes. Together with our professional optical design team, through the strict optical simulation, we create a focus and round light shape reflector with multiple beam angle and CCT. Moreover, the design tolerance between the heat conducting bridge and radiator is 0:0 which provides excellent heat dissipation. Thus, the light attenuation is reduced to minimum level. In most multifunctional spaces, it is essential to adjust the light intensity according to the needs of the moment, for example, when you work in office, you need more office working environment than a comfortable dinner atmosphere. Each lamp we produced can be chose for dimmable or not. PREVIOUS：Vikled Quality Control Before Delivery NEXT：Why do we use temperature to describe the color?